Notes: This is a public place and a national park. Access is free and open under the guidelines of the national park service. There is a nice visitor center on site. Salem Massachusetts is a sea port. In about 1762 the colony's first millionaire merchant named Elias Hasket Darby started construction on the wharf that today bears his name. 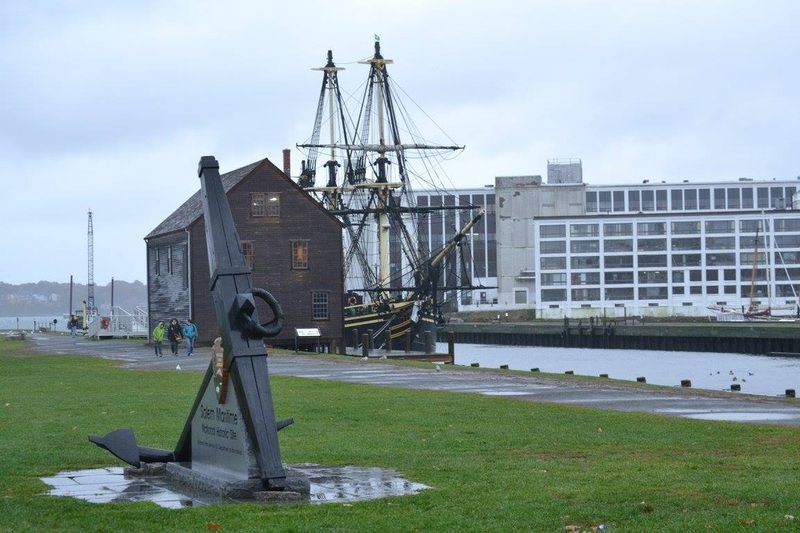 This seaport was one of the premier ports of the fledgling United States, especially as Boston was blockaded by the British throughout the war of independence. This wealth continued after the war and in 1806 the wharf was extended to it's current one mile length. Of course seaports and wharf's means ships from around the world and their sailors. A common type of sailor from these days were state sanctioned pirates called privateers. There are smugglers and rouges of all descriptions passing through seaports. Rumors hold that a series of smuggler tunnels were built from the wharf area to local basements, to avoid custom duties among other less savory reasons. 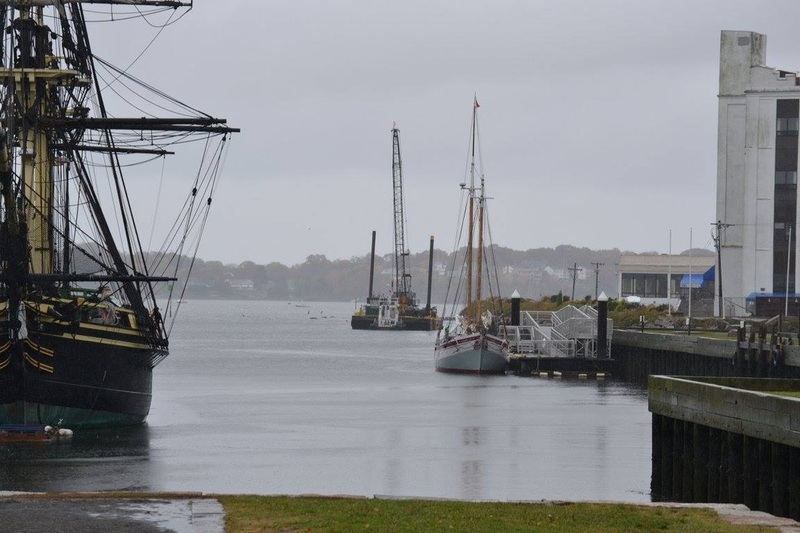 Visitors often claim to see sailors and men from other time periods about the wharf. These phantoms are believed to be more of a residual variety, as are the sounds of footsteps when no on is around. 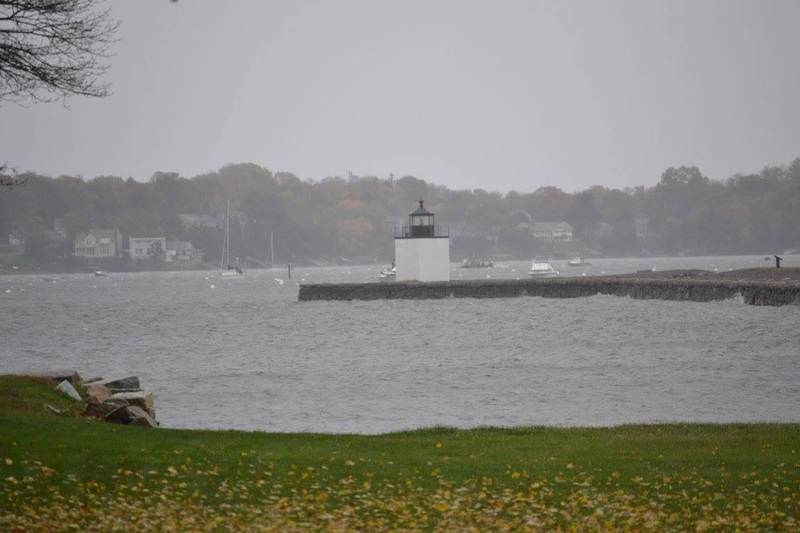 There is a prevalence for cold spots near the lighthouse at the end of the wharf. A woman claimed to have been tapped on the shoulder by what appeared to be an 1800's fisherman. When she turned to get a good look at him, he vanished. Another interesting possibility is tied to events on March 6-7 th, 1866. The Andrew Johnson, a Salem based schooner with a crew of 26 men was running before a storm that was to become a hurricane in the Georges banks area. In the storm, the ship Charles Haskell ( reputed to be a bad luck ship) collided with the Johnson and sliced her in half. The crew of the Haskell could not do much more than watch as the crew of the Jackson struggled and finally succumbed to the wild seas. The Haskell was able to limp back to port and repair. On a subsequent trip to the Georges banks for fishing, the trip turned crazy. Six day out into the trip the midnight watch awoke the captain . The night watchman on the Haskell saw what appeared to be " Dark, shadowy figures rise from the sea. The shapes numbered twenty six. When the reached the Haskell, it was clear they were in the shapes of men. " The shadowy figured climbed aboard the Haskell where it was observed " There eyes were dark, like hallowed out holes and they wore only oilskins for clothes." The shadow sailors took up positions about the ship and when through the motions of cod fishing. They fished the night way only to disappear with the dawn. The captain and terrified crew took control of the ship that morning and set sail for home. However, the next night brought the same, with the specters appearing, boarding, then fishing the night away. However as dawn approached, then left the ship and walked off on the water in the direction of Salem . More on the story of the Charles Haskell in our haunted ship section.